We are excited to announce the launch of our new website after many months in development. 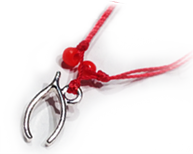 The new site highlights the story behind the organization, gives information about the Wishbone training program and Wishbone Wish List and provides resources for nurses and families. In addition, we are excited to introduce the Wishbone blog that will be updated on a regular basis to provide information about what’s new for the organization and events throughout the year. It is our hope that you will check back often and stay connected with the Wishbone Foundation.